Having a high-quality mechanics tool set can solve plenty of problems like replacing valve cap gaskets or other related tasks without any need to visit the garage. They came with a complete set of tools through which you can do plenty of jobs efficiently. However, finding a perfect mechanics tool set is never an easy task. That’s why our team has committed to eliminate this headache for our readers and created a list of top 10 best mechanics tool sets in 2019. Check out the complete list and then make your decision easier. 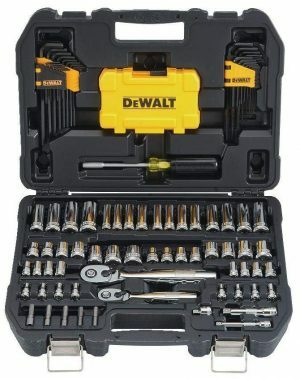 Dewalt is one of the most recognized names in the mechanic’s industry and this toolset to prove its reason. 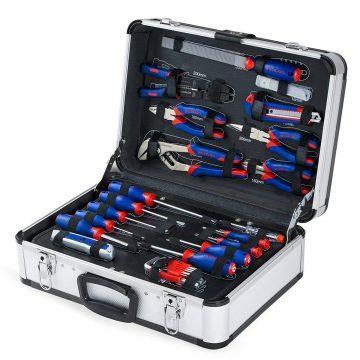 You will get 108 pieces of tools packed in this set. There is an anti-slip vinyl grip provided on the driver’s grip for providing extra comfort. 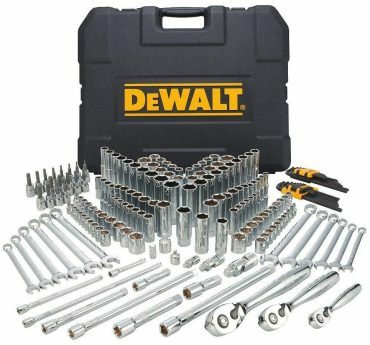 This toolset includes a variety of hex keys, sockets, ratchets, wrenches, and bit drivers. In simple words, this kit includes all the tools that you need for performing mechanical tasks at home. Also, you will get a lifetime guarantee with this set that proves how authentic it is. 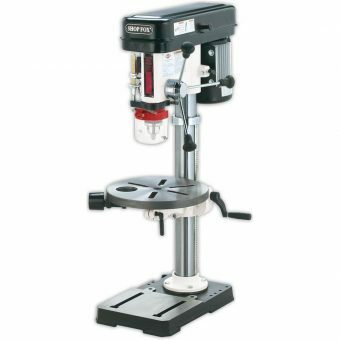 If you are looking for an efficient toolset at an affordable price, then buying GreatNeck GN205 is the smartest choice that you can make. It equips with a variety of sockets, ratchets, and hex keys. Additionally, you will get many home specific tools, including screwdrivers, PVC tape, and utility knives. 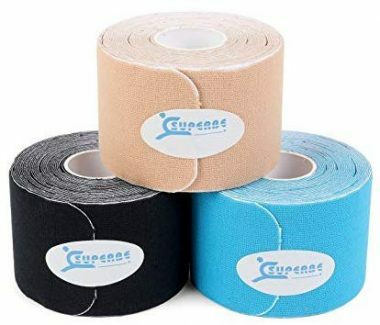 It is a perfect solution for dealing with unexpected situations. 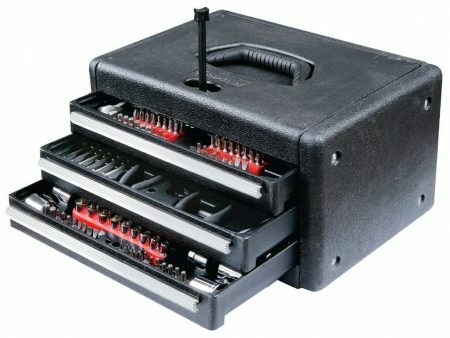 The storage case divided into three separate drawers that allow you to organize the tool in a better way. It is a versatile toolkit that can work for both homes as well as garage projects. 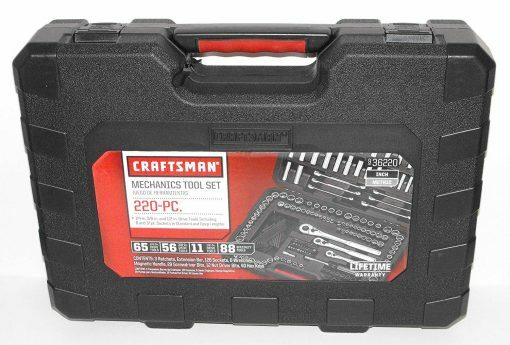 This Craftsman kit comes with all the essential tools like one extension bar, 12 nut driver bits, six wrenches, and 29 screwdriver bits. You will only find it one of the best mechanic tool sets, but also the most portable one. Each of the tools in the case is plated with chrome and made from high-quality alloy steel. The weight of this kit is only 19 pounds that make it reliable to carry from one place to another. 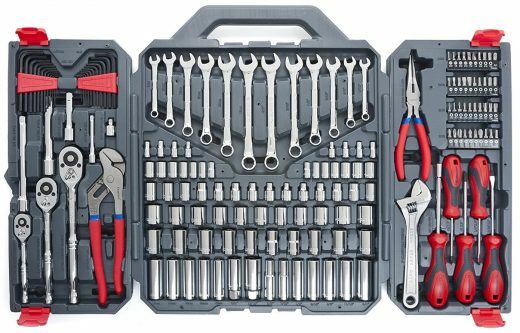 The Craftsman 311 Piece is one of those tool sets that comes with all versions of ratchets and sockets that you can imagine. This kit can work perfectly for a variety of tasks without any difficulty. 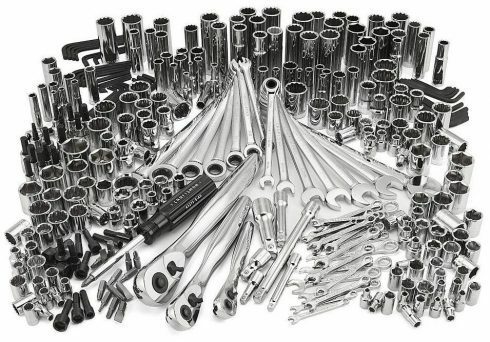 In total, this kit comes with 15-bit sockets, 75 tooth ratchets, and 14 wrench heads. The company has used highly polished and durable metal for crafting this toolset. 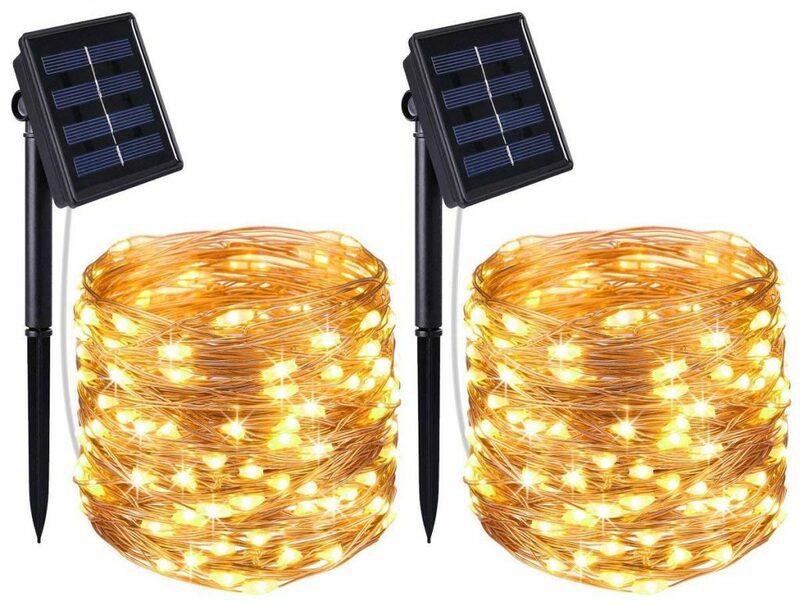 Furthermore, it has a quick release mechanism that allows you to change the sockets during working easily. Also, you can make fine adjustments as the ratchets can move effectively move in 4.8-degree increments. 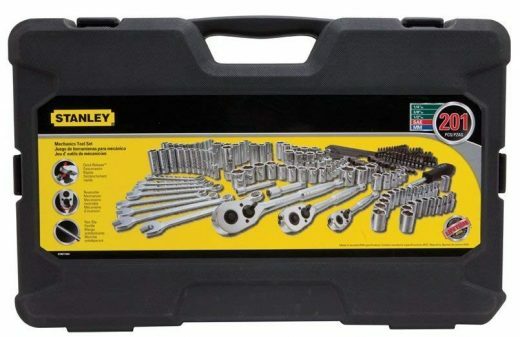 If you are looking for a toolset to repair sockets and wrenches, then you won’t find any product better than Stanley STMT71654. The toolset equipped with 68 sockets, three extension bars, and three ratchets. You can even reach into difficult areas easily. It is a highly durable and portable toolset that you can find at a pretty affordable price. All the tools in this kit work as per ANSI specifications. It is an incredible mechanical toolset that includes more than 170 tools for making sure you can complete all your garage jobs. You will get a plethora of things like screwdrivers, hex keys, classic sockets, box-end wrenches, and pliers’ pair. There is a dual material handle on the screwdrivers allowing you to have a comfortable grip. Furthermore, the tools are resistant against the corrosion and rust. 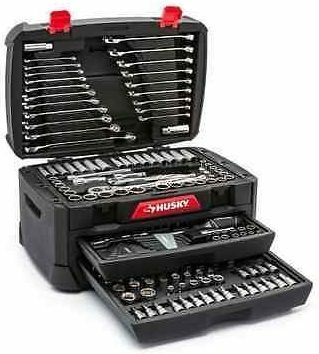 It is one of the best mechanic tool sets that comes with all the things needed for a mechanical job. The Work Pro W009019A comes with a great toolset that has sockets, hex keys, hacksaw, wrenches, hammers, and many other things. In simple words, you can effectively complete any DIY work or a household repair with this toolset easily. Each of the tools made from top-quality steel and fully polished with chrome. The Dewalt DWMT72165 comes with more than 200 pieces of tools that make sure you complete all types of repairing tasks. The company has crafted socket handles with ease for making amazing grip and better performance. To maintain a high torque ratcheting, it comes with a 72 tooth gear system making the things easier for you. Furthermore, they have hard stamped marking to offer better identification. One of the most amazing tools sets that you can find in the market, the New Husky equip with around 260 pieces. Having such a great collection is difficult to find in any other product on this list. 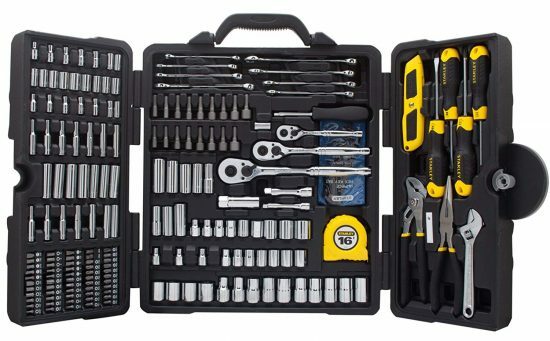 This kit comes with 20 combination wrenches, 19-bit sockets, and 168 deep & regular sockets. Furthermore, they are crafted in such a way that even a novice can use it perfectly. The Stanley STMT73795 is a versatile and all-around toolset that gives you access to a variety of tools so that there is no difficulty in completing any repair job. You will get more than 200 metric tools and sockets each made from high-quality steel. Each of them is designed ergonomically for making sure one has a comfortable grip. It is available in two different variants, one only having toolset whereas other also equipped with an adjustable wrench for customer’s convenience. That’s all, our list of best mechanic tool sets in 2019 has concluded. We believe that you have found the perfect one that suits your requirements. Each of them has amazing features and that’s why you should make choice intelligently.